You might have noticed that people love to wear colorful outfits during spring and summer seasons. Now, when it comes down to wear two pieces or three pieces, men find it hard to choose the perfect color combination for their shirt, trousers and jacket combo. You have to follow some cool and smart style quotient while you are trying to create an individual fashion statement. Generally, to beat the heat of summer and enjoy the favorable weather of spring, people like to mix and match their outfits, accessories and footwear with vibrant colors and lightweight fabric. Most of the people prefer to wear dark bright colored lower garment and light pale colored upper garment to balance the color contrast. 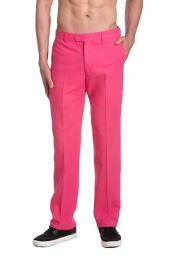 Therefore, one of the latest pick of this year's spring summer collections is mens pink pants We come up with a wide range of collection in colored trousers for both men and women. According to the fashion world, men always want to ensure the comfort of their outfits. When comfort becomes first priority along with elegance and coolness, linen colored trousers will come first in your mind. 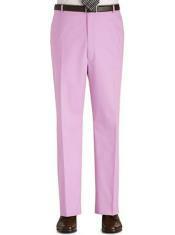 However, the reasons behind the increasing popularity of colored linen pants are usage and benefits of it. 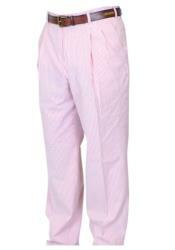 The versatile nature of mens pink pants will allow the wearer to serve several purposes of their regular life. Even if the colored linen pants are one of the steady outfits of spring, summer seasons, people can flaunt a carefree, relaxed and casual look throughout the year. 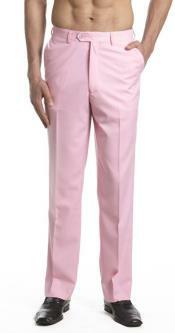 Moreover, several people think that they will not be able to wear colored linen slacks at their workplace. 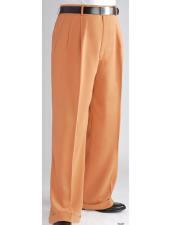 However, to clarify this point, you need to know that you can easily find some professional colors in linen trousers to suit your persona too. Therefore, you can wear linen pants at your workplace, during your night outs, travelling and even while you are socializing with people as it gives a sense of sophistication with casual approach. You can completely rely on us, as we always offer best quality product at minimum price.